Click Here to check out our latest Radio Spot! 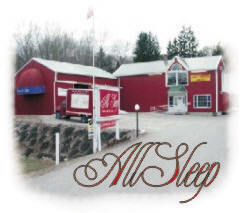 All Sleep offers great prices and supreme service. Simmons Beautyrest, Serta, Gold Bond, Eclipse, Natura. All mattress names you can trust. Look to All Sleep for your Made in America recliners….from Catnapper and Best Chairs. We are also the premiere location in the New England area for all your waterbed needs, both hardside and softside. We are All You Need For Sleep!